Perhaps you’re a fan of the Southern Gentlemen or you just enjoy really good acappella harmony or you’re hoping to find a toe-tapping, thigh slapping fun filled evening designed for the whole family. If so, go mark your calendar for Saturday, May 4th at 7:30 p.m. 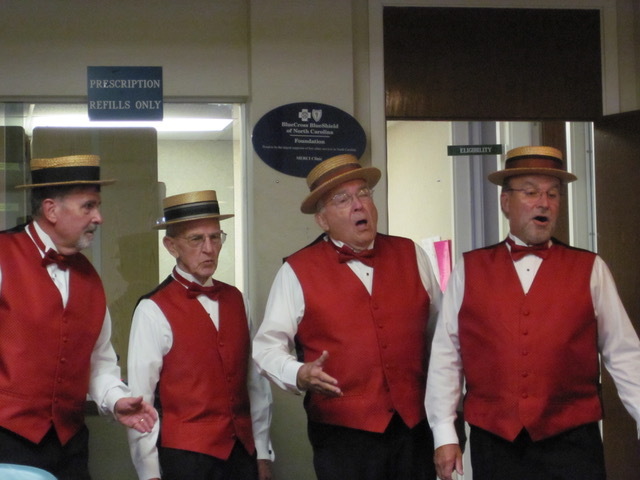 The Southern Gentlemen Barbershop Chorus … recognized for its “Singing Valentines” as well as its charitable support of many local civic groups, high school choral programs, churches and community wide events … is conducting its twenty-fifth annual show at Grover C. Field Middle School Performing Arts Center. 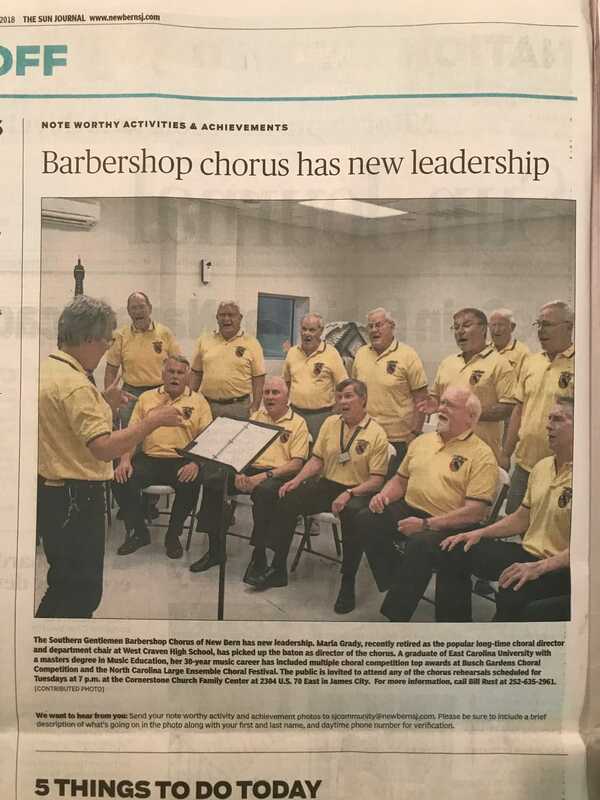 It also happens that the men and, as of this year, the women of the Chorus will be celebrating their twenty-sixth anniversary of the founding of the Chorus. What the audience can expect is a larger Chorus while providing a wonderful performance under the dynamic direction of Marla Grady. 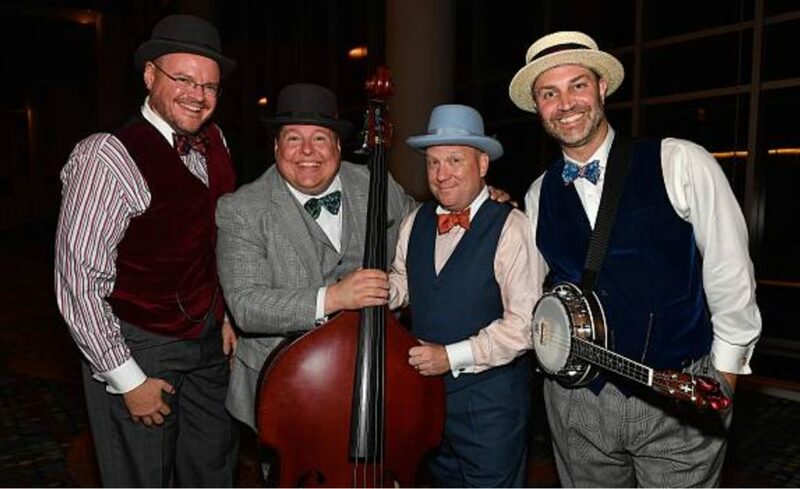 Highlighting this year’s show is the return of “Boardwalk”, a championship quartet from Atlanta, GA. that regaled the audience several years ago with their zany performance. 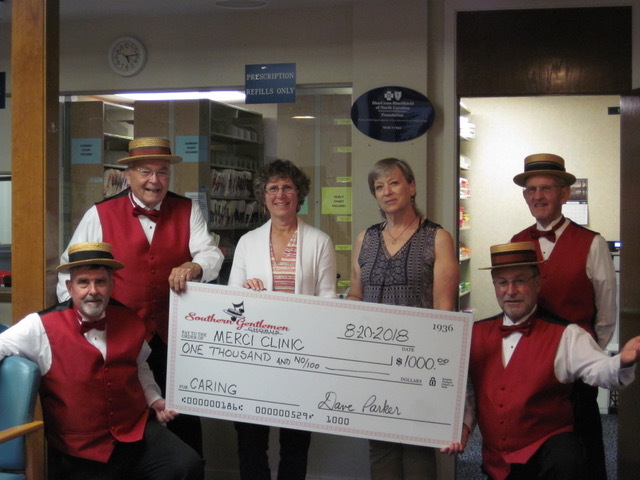 A Barbershop quartet with a twist, “Boardwalk” is an unconventional quartet by any standard. It is dedicated to creating energetic, comedic performances that fuse costumes from the roaring 20’s, 4-part harmony, and a unique selection of string instruments. They like to call this new genre of music “Barber-Folk”. 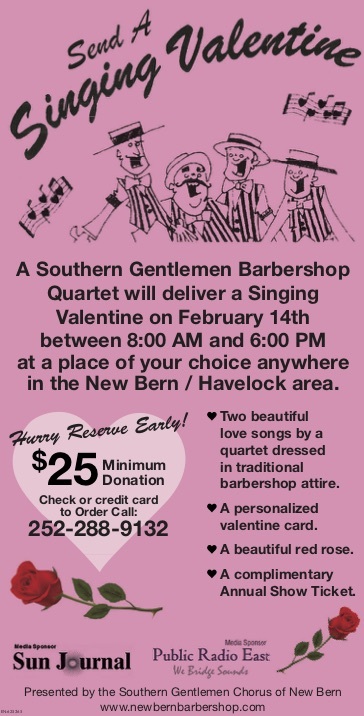 There is still time to sign up for your Singing Valentine. Thanks for the submission Bill! We will not be rehearsing on July 3.